There are various boating clubs on Lake Lanier. Whether it’s sailing, canoeing, kayaking, rowing, or boating, through these boating clubs, you can get together with people who share your passion. Following is a list of the boating clubs that you’ll find on Lake Lanier. The Atlanta Power Squadron (APS) was founded on 16 July 1953 with 21 charter members. When APS was founded classes in Seamanship, Advanced Piloting, Junior Navigation, Navigation, Engine Maintenance, Sail, and Weather were offered. Courses added since then include Piloting, Marine Electronics, Instructor Qualification and Cruise Planning. 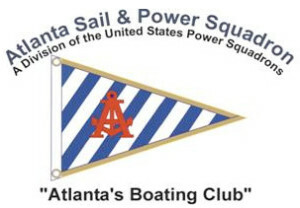 Some years ago, the Atlanta Power Squadron added the word “Sail” to its official name in recognition of the large number of sailing enthusiasts among the membership. Today, the Atlanta Sail & Power Squadron (ASPS), also known as Atlanta’s Boating Club®, is a unit of the United States Power Squadrons, the nation’s largest recreational boating organization. BAREFOOT was founded in 1971 for people who love sailing and who may or may not even own a boat. Whether you prefer the adrenalin rush of hiking out or “poppin’ a chute” as you round a buoy or just relaxing for a pleasant day sailing on the lake with good company, you are welcome. We encourage you to become part of our extended crew for races, cruises and social activities. That way, you get to enjoy the camaraderie of being a crew member, meet new friends, and also get to “try out” a lot of different of boats. If you like the laid back, party attitude of cruising, we have an “Open Cruise” on the first Saturday of each month. We usually conclude the cruise with a party in some quiet cove where we can let our sails down and have some fun in the sun. Since 1989, Freedom Boat Club has provided an affordable, convenient alternative to boat ownership, and currently serves over 6,000 members nationwide. For a fraction of what it costs to own a private boat, Freedom Boat Club members are able to enjoy the boating experience on a variety of different vessels, including flat boats, fishing boats, and large cruisers. In addition to this, members enjoy the club’s exceptional service, thorough safety and maintenance procedures, and have access to private social events. The Lanier Canoe & Kayak Club preserves the heritage of the 1996 Summer Centennial Olympic Games. They promote health, education and fitness for all ages and abilities through quality flatwater canoe and kayak programs and their competitive teams. The Lake Lanier Rowing Club is a world-class training, competition and membership organization located on Lake Lanier. Home to the 1996 Olympic Games, our club boasts one of the most prestigious rowing venues in the country. With activities for everyone from novice to experts, LLRC is the home for the rowing enthusiast.